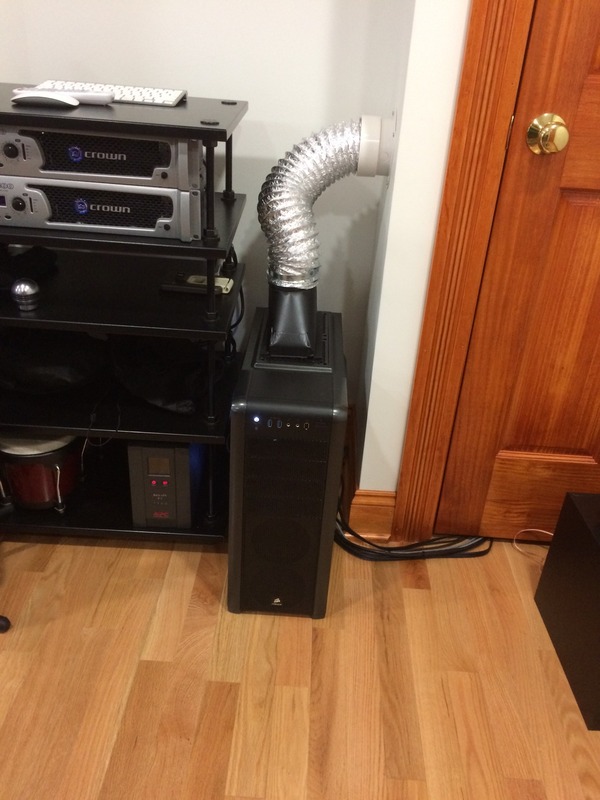 I have my gaming pc mildly overclocked, its enough to push out a LOT of heat, too much for my small office space. 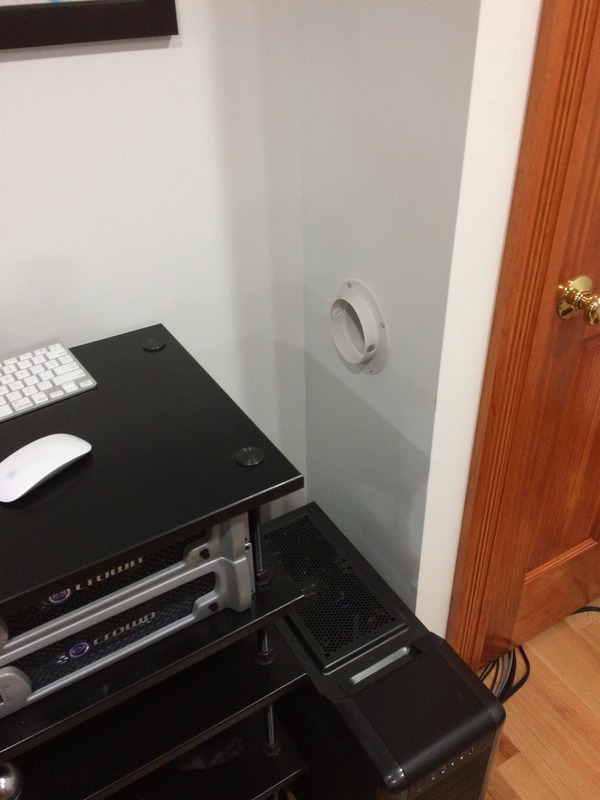 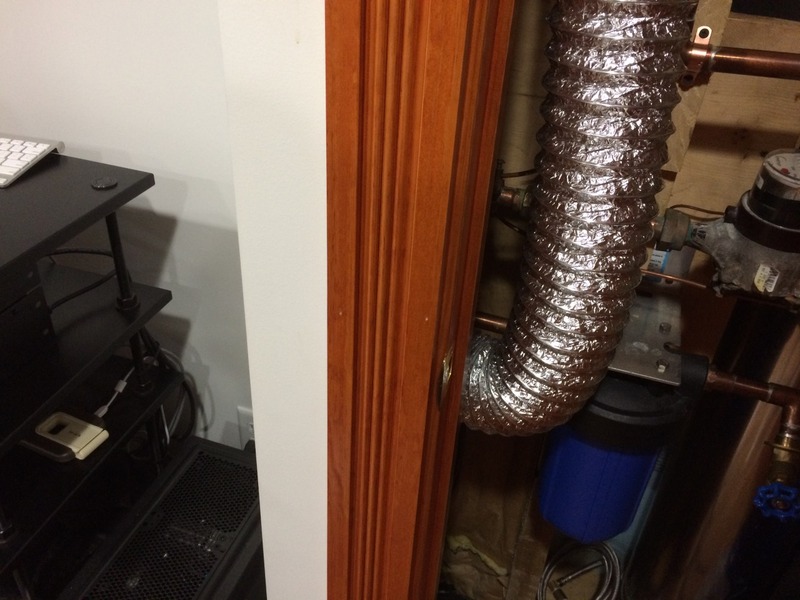 Within 30 minutes of gaming, my office was a sauna, so I had the brilliant idea of ducting directly from the top of my case (positive pressure) straight in to the warm air return of my HVAC! 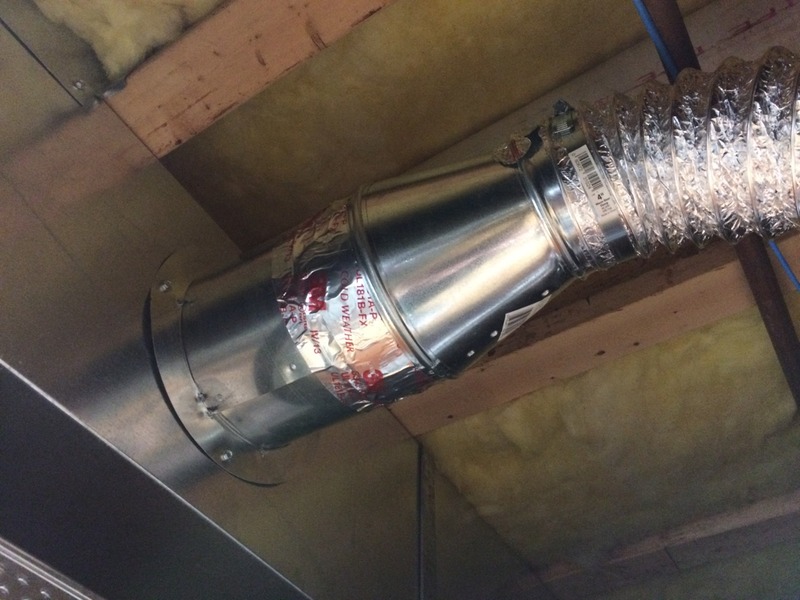 I am yet to try it out, I did the duct work over my lunch break. 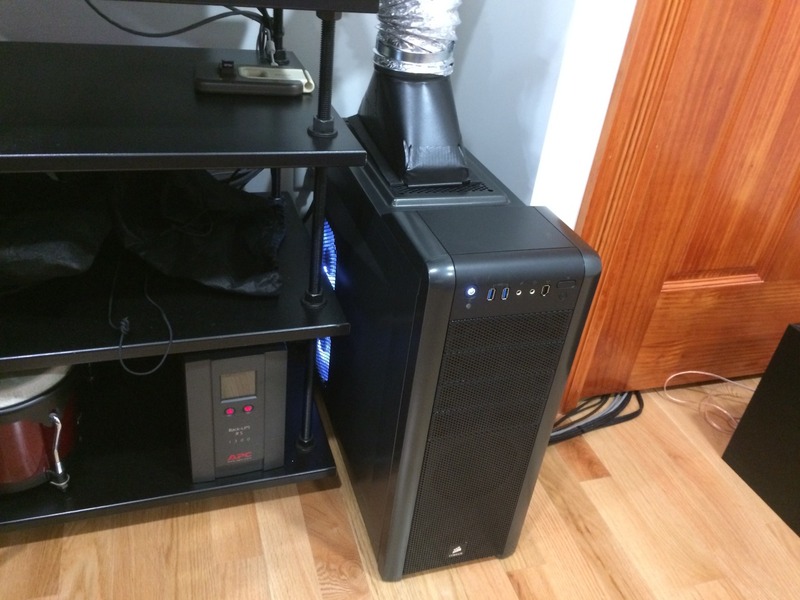 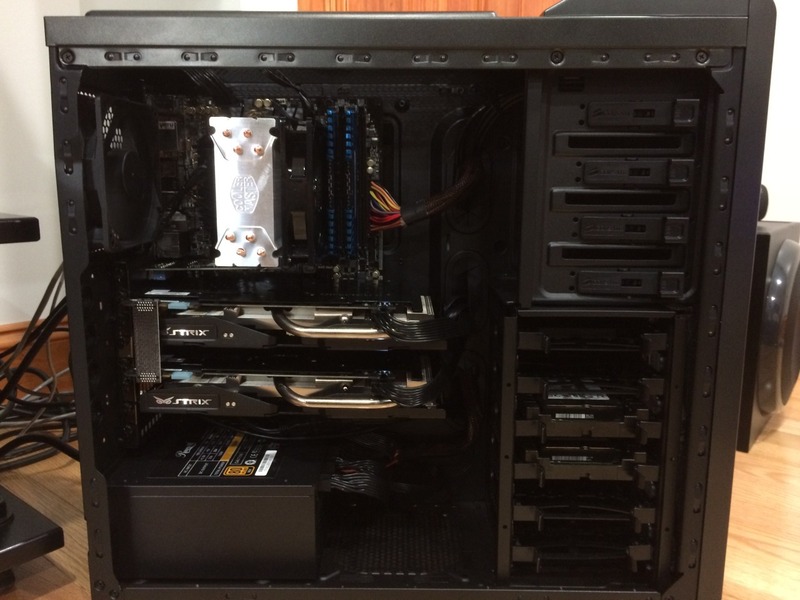 For those curious about my mediocre gaming rig, its an Intel 3770 @ 4.2ghz, 8G ram running at 1866XMP, 256G ssd for Windows7 and 4x 10k rpm drives raid 10 for my Steam volume. 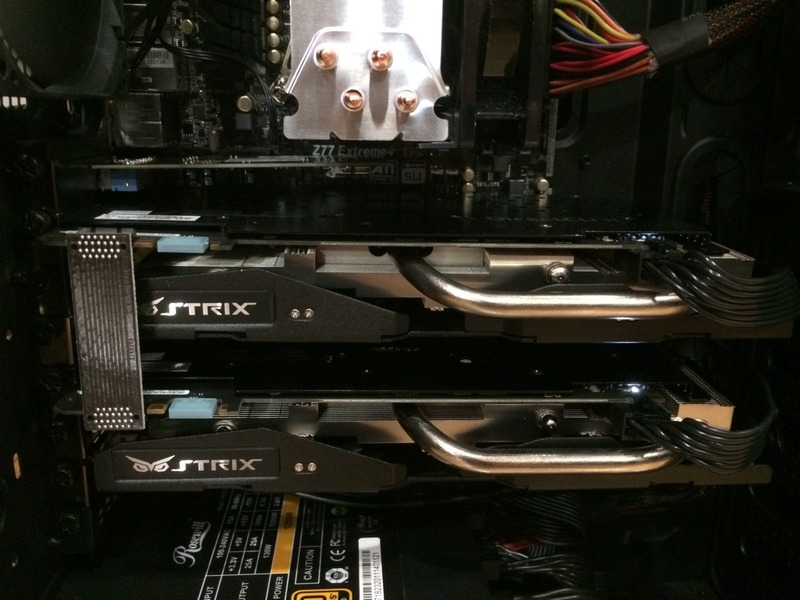 It has a pair of GTX970s in SLI, 2 extra soundcards (for SimVibe) and a usb2 card for my displaylink usb display (which hates USB3 for some reason).